The Rocket Man icon has added a final 14 dates to his The Million Dollar Piano shows, wrapping up the performances at The Colosseum at Caesars Palace on 19 May (18). Elton has been a regular at the popular venue since 2004, when he launched his first residency, The Red Piano shows. He enjoyed a five-year run with the gigs until 2009, and returned to the venue in September, 2011 for the start of his second residency production, The Million Dollar Piano. "For over a decade, Elton John and his band have graced the stage at The Colosseum at Caesars Palace, performing all the hits that have defined a generation. Elton John's residency at The Colosseum has set the standard for those all that have followed," Gary Selesner, President of Caesars Palace, shares in a statement. "We are incredibly grateful to Elton for allowing Caesars Palace to be the home for his 450 memorable performances." 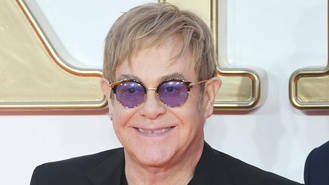 Elton had originally only planned to perform The Million Dollar Shows for three years until 2014, but ended up extending the run after landing a new contract which reportedly earned him more than $500,000 (£377,400) for every show. He had previously only announced shows up until March (18). The singer shares The Colosseum stage with Celine Dion, who also has an ongoing residency at the intimate venue, while fellow Sin City regulars include Britney Spears, Jennifer Lopez, the Backstreet Boys, and Lionel Richie.